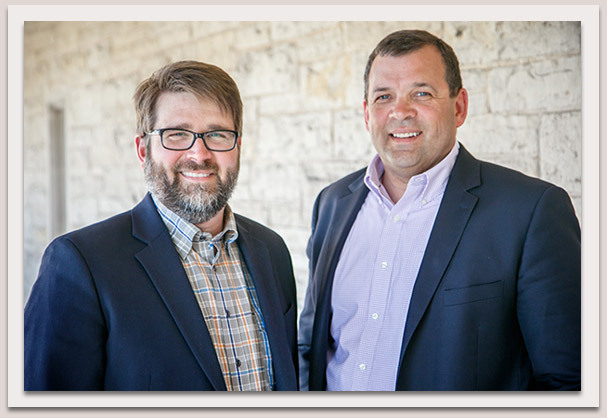 Jeremy Schwab and Terry Jack established Sugar Maple Asset Management, LLC (SMAM) in January 2016 to deliver customized financial planning and investment management solutions to their clients. With a fiduciary duty to put their client’s interests first, Jeremy and Terry draw on their combined 50 plus years of experience in the trust and investment management fields to guide clients with independent and objective recommendations. This approach makes them accountable first and foremost to their clients. The preparation of a client’s financial plan and investment policy statement (IPS) along with the implementation and ongoing monitoring of a customized investment portfolio allows Sugar Maple Asset Management, LLC to help clients meet their long-term investment goals. Fee based investment management with a commitment to transparency is in the best interest of our clients. We receive no commissions nor fee rebates on any investment we recommend. All mutual funds utilized in client portfolios are no load and Sugar Maple Asset Management covers all security transaction charges. Sugar Maple Asset Management, LLC partners with Fidelity Institutional Wealth Services to bring clients leading edge technology, diverse investment options and superior trade execution. All client assets are held by Fidelity and remain in the client’s name providing for transparency and security. Mr. Schwab was born and raised in Appleton, Wisconsin. He received his Bachelor of Business Administration in Finance from the University of Wisconsin-Madison and his Masters of Business Administration from the University of Wisconsin-Oshkosh. Prior to forming Sugar Maple Asset Management, LLC., Jeremy has worked as an Advisor for a national brokerage firm and regional RIA. In addition, he has Trust Officer experience and in 2013 helped establish and was the first President of a northeast Wisconsin RIA owned by a local bank holding company. Jeremy holds the Certified Financial Planner™, CFP® designation and is a member of the Financial Planning Association (FPA). Mr. Jack is a Wisconsin native and has resided in the Fox Valley since 1981. He received his Bachelor of Business Administration in Accounting from St. Norbert College. He is a Chartered Financial Analyst and is a member of the CFA Institute and the CFA Society of Milwaukee. Terry worked locally in the Trust Industry for more than 25 years. He has experience as a Trust Officer, Regional Vice President and Portfolio Manager responsible for managing portfolio for high net worth families, private foundations, endowments and retirement plans. Prior to forming Sugar Maple Asset Management, LLC., he served as Chief Investment Officer for a northeastern Wisconsin based bank.